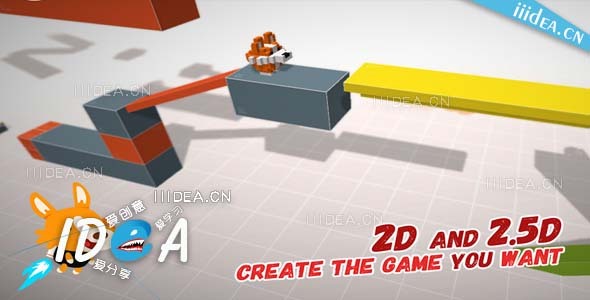 A tight 2D character controller for your player, complete with collision detection, slope handling, movement, jumps, double jumps (and as many more jumps as you like), ladders, dangling, jetpack, machine gun, dash (horizontal and vertical), running, crawling, looking up, down, and more. Easy to control and tweak via the inspector to create your very own character. The game comes packed with different examples to get you started, along with video tutorials and a complete documentation. Everything you need to create your levels : moving platforms, jumpers, cannons, destructible crates, trees, ladders, wind, water bodies, ice, treadmills, mud and more. Dialogue engine : a basic yet robust dialogue system, to add life to your NPCs! Mobile controls that work everywhere – The whole codebase is heavily documented, and everything’s coded to be as easy to customize as possible. Creating your own 2D platformer has never been this fun!